Obsidian v cpu hungry analogue modeling synths? It’s very early to judge obsidian, but I’m already falling in love with it. There is one specific aspect of it where I have a small suggestion about which I’d love to hear other people’s thoughts. As flexible as obsidian is, I suspect many people will end up finding room for occasional use of cpu hungry analogue modeling synths (my personal favorite are DRC (now testing the auv3 beta) and Model 15) alongside obsidian every now and then. What I’m wondering about is this: am I wrong to suspect that the one area where obsidian stands to gain the most (in comparison with those cpu hungry analogue modelers) is the filter section - e.g. by adding some oversampling options (maybe just on the analogue modeled filter shapes) for special occasions like in the internal Waveshaper effect? (Where I’m coming from on this: saturation characteristics is a well known area where oversampling pays huge dividends by raising the threshold at which adding saturation introduces harsh aliasing artifacts. (I take it that Matt agrees given that he added oversampling options on the Waveshaper.) 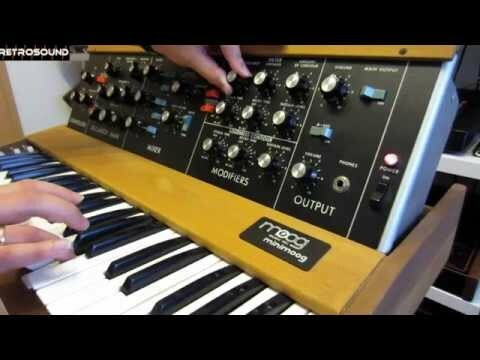 I’m not sure, but I suspect that having a similar 4x/8x oversampling option at least on the analogue modeled filter shapes would still keep obsidian way more cpu efficient than loading up a cpu hungry analogue modeling synth, but would go a very long way towards covering more of their territory. The other thing is: being able to pair obsidian’s awesome digital oscillator types with filters that have less noticeable aliasing artifacts when saturating would open the door to so much juicy hybrid territory..
Tl; dr: obsidian v hungry analogue modeling beasts: how much further could obsidian go in that territory with oversampling options on the analogue modeled filters? But filter is per voice so 8X oversampling would be HUGE on the CPU. But the magic on analog synths is for me the audio rate stuff which Obsidian can‘t do (using OSC as modulation source and everything should be running at sample rate). But you can „mimic“ some of these distinct analog sounds with filter FX or other workarounds. However, Model D, Zeeon and DRC remains the holy 3 for me on iOS for this kind of stuff. @Cinebient @OhWell I kept the Moog Model D and Model 15 on my iPad, as well as several Korg synths simply because you can’t get those sounds anywhere else. I’m content to use them when I need “analog” sound. It would be great to have more analog modeling in Obsidian, but I do wonder what that would do to it’s efficiency. @cinebent That’s super interesting about audio rate modulation being the more important thing. Model 15 is also up there for that, no? I should clarify, my assumption is that it’s totally fine for there to be uses for synths that aren’t obsidian. Eg: audio rate modulation might be a perfect example of that. My mindset here is: identifying simple ways to expand the wonderful palette obsidian offers with little to no impact on the UI and core design. Just out of curiosity, do you know how much oversampling eg DRC and eg Model D (heck, animoog too) are doing in the filters section? I do realize that filte oversampling per voice is a big cpu hog, but my thought was that for the special occasions where people want sounds that rely on filter saturation + resonance with low harsh artifacts, turning on oversampling in an obsidian filter would remain more cpu efficient than eg firing up DRC or a Model D..
@kleptolia Agreed! I guess that’s a better way to put the question: (1) how much more efficient would obsidian remain vs Model D/DRC/etc if it had the option of turning on, for special occasions, as much oversampling as these dedicated analogue modelers do in the filter section? (2) How valuable would that option be for users? It’s a good thought, and I’m curious to know what @Blip Interactive thinks about it. I do recall he wrote a post on here about how to achieve a more “tape sounding saturation” in-app but I’m not sure if that was Obsidian specific. Not sure but i think f.e. Zeeon runs everything oversampled 4X and Model D maybe as well (maybe even higher for the outstanding saturation which is another important part for me). About audio rate stuff. It´s a thing i personally love and it not a must of course for some analog flavor. But if you have f.e. (like in Obsidian) formant, comb and whatever filters you might not need this at all. Interesting thread. For now I, like you guys too I am sure, use other synths for other sounds. On older devices where CPU is a major limiting factor, committing to audio clips in Slate is important, rather than having too many AU causing problems. If the idea is not to create tracks, but rather to improvise live with as many synth apps running as possible, using audio clips (later audio tracks), then this doesn't help so much. Personally, I'd like to see Obsidian remain basically how it is so that it remains CPU efficient. Much after the stated priorities are handled (iPhone, Audio Tracks, misc updates), I'd like to see completely new synths added as IAP for NS2. Then a dedicated Analog Monster synth could focus on that sound, albeit with the magic Blip Interactive CPU efficient coding. I don't know if there are any plans to add additional instruments to NS2, and I will bet that after the exhausting marathon to get NS2 this far, Matt won't even consider it at this point, but maybe one day. What will we be discussing a year from now...? Oh and of course while i think for analog power there are better synths Obsidian is a wonderful and outstanding synth. Just sample some Model D madness into it. I mean can you run even 10 Model D pads with 4 note chords? What exact issue solves oversampling then ? In case that something exceeds this frequency, it starts generate aliasing. I don't want put here too much technical details, so simply it means that for example very high resonance, specially played on higher notes, doesn't sound nice. OS fixes this problem using simple technique. Before filter it resamples audio to, let's say 96khz sample rate, then processes it through filter, and then downsamples it back to 44khz. 1a/ Add posibility to turn ON oversampling when needed (ideally some switch in Obsidian - so per instance, global settings would be not good because really in many many cases you don't need oversampling at all and to use it us wasting of CPU. Bass sounds with small or no resonance, leads, pads witrhout reso, etc etc. **It's simple. Do 96khz export (mixdoen) ** As i said, NS in realtime mode uses 44khz, so everything above 22khz == mess. If you do export in 96khz, it mesns that nyquist frequency is now 48khz - that is looot better. Try it, make sime sounds with super high resonance, then do 44khz and 96khz export - hear thst difference ? Huge. I wonder if something like an option "1c/" which will save us from our CPU eating selves is possible? If resonance is above N, Obsidian actually does oversampling. If not, it saves your CPU for running minecraft in the background. If resonance is above N, when Obsidian is triggered by the keyboard (or external MIDI) it turns oversampling ON since it can't possibly know what notes are coming at it. BUT. If it's being triggered by the sequencer, it could determine in advance if and or when it needs to enable OS dynamically by pre-calculating the nyquest. In a sense, this would work like filter oversamlping "freezing". Indeed, once audio tracks are a thing, perhaps this all gets a lot simpler in that Matt can safely enable [per filter instance] oversampling and users can freeze Obsidian tracks in the same way we might freeze Model 15 tracks. @dendy Ha, why am I not surprised? I have much more experience with OS and saturation in the context of waveshaper/drive type effects than synth filters, so I first noticed the issue with the filter set to WS. Then I started twiddling with drive and resonance on the filters and the difference with the filters in Moog, DRC, etc became very obvious. Kazrog’s products really spoiled my ears for saturation, btw, my dream analogue modelling monster would need 32x oversampling. 👹. Edit: I just realized that for products not meant for high amounts of distortion, Kazrog knows better than to go 32x. (So Thermionik has the option to go 32x, but e.g. true iron only does 2x OS. Other products in the line fall in between.) I honestly don't know where my sweet spot would be for filter saturation. Hehe! Yeah but still -isn't it worth to sacrifice quality in some more extreme areas for such incredible efficiency ? Yar. If track Freezing becomes an option then it's a little safer, support wise, to simply enable it. Otherwise, I fear he'll get overwhelmed with "¡but obsidian is supposed to be so efficient!" complaints. Nah....i think Obsidian is exact what it should be. For everything else there are the AUv3. And a good point that you just need oversampling for certain things. Also some synths offer different modes where you can set a low cpu mode or a very fast mode for extreme fast envelopes, LFOs and OSCs as source etc. I mean Zeeon f..e is actually extreme versatile and almost a semi-modular due to the matrix. It still runs fine on my iPhone with huge chords and audio rate modulation everywhere while 4X oversampled. So it is possible if needed. Model D has just and outstanding filter section and saturation for me. The only synth which beats the crap out of even many desktop synths (but not all) here. The magic here also happens since you really can gain stage it analog like (DRC is great as well here) The filter will overdrive nicely and while you add saturation it still sounds clear and punchy. Indeed i don´t think NanoStudio needs such a synth since we have a few of them already and i don´t think they are more cpu demanding as a dedicated intern analog synth would be within NS2. Not sure if I’m for or against on this one. Half of me says ‘for higher quality just use 3rd party’. But the other half says ‘would be nice to have that kind of quality in obsidian to mix and match with the other synthesis types in obsidian for sound design’. If it’s relatively easy to just switch on oversampling and suddenly we have model d type quality filter/saturation etc in Obsidian then no-brainier addition. But I have no idea whether it’s that simple and if it isn’t then I think ns2 should be focusing more on adding contemporary bread and butter daw functionality than Obsidian functionality for the forseeable. Daw functions first, work on obsidian and internal fx etc after... There’s a lot of good au and aufx now, but still problems with most iOS daws, matts energy is better spent elsewhere for now imho..
All great points folks. @flockz Yes, part of the question is indeed: how much/little work would it actually take to just enable it 1b) style in the way @dendy describes. For the love of saturation! Animoog is a super interesting example of the kind of territory that might open up with that. Sounds to me like the filter uses OS, and it works wonders to bring back some of the harsher digital sounding oscillator settings into analogu-esque Moog territory. For the love of saturation! But OS have completely nothing to do with saturation or analog drive.. actually obsidian filter contains emulation of analog filter ovedrive (12A and 24A modes) - in my opinion pretty good - obviously that third knob "drive"
Why do plugins like pro-l use it? I always assumed it was for super hi-def detail in modelling/algorithms/calculations and so on? Not just for filter resonance? Genuine question! I have zero knowledge on this..
distortion .. that's another thing which works better without aliasing - so oversampling is good idea .. It's blurred area, not exact boundary where it starts to make sense .. definitely for hard distortion ..
but im not total expert in this area .. i know something, but not everything, i have just overview in principe .+ use my ears )) I can be wrong in some details, so don't take me as final authority. Main point of my post were filters and resonance a what could improve it's characteristics. Yeah, for creating emulation of real analog synch you needs to do lot more steps than just oversampling. Oversampling solves just one particular issue (distortion caused by non-linear processes , to be very exact) ... there is another set of methods which needs to be aplied if you want get faithful reproduction of analog synth. Sadly all of them are CPU hungry - lot of math Everything comes with a price. Yeah, to make emulation of real analog synch needs lot more steps to do than just oversampling. Oversampling solves just one particular issue (distortion caused by non-linear processes , to be very exact) ... there is another set of methods which all have to be aplied if you want get faitful reproduction of analog synth. Sadly all of them alre CPU hungry Everything comes with a price. Agree ! But just filter oversampling would be nice, anyway. But if you add saturation to very high resonance it can be even more important. I have a few synths where things can easy add up. But i must say i´m mostly fine with 2X OS and sometimes 4X. 8X for the full engine doesn´t run on my machine anyway (only with multic-core support which seems missing in iOS). The wavefolder from Repro-1 (JAWS) use indeed 32X oversampling. But it´s mono only but it does sound amazing. Of course there is so much more. My favorite (virtual) analog synth sounds even better with OS off than others with 8X oversampling. So it´s also about great DSP and whatever. And i also sometimes prefer some aliasing as FX so that higher frequencies sound a bit noisy and out of tune. Some use a mixture like Beepstreet Dagger VST/AU which use 2X OS for the general engine but 8X for the filter. But it´s also a mono synth. Of course it can help to run a project in 96Khz or even 192Khz. Not sure if iOS DAW´s support it yet. There are even reverbs which do 4X oversampling but it´s not really usable for real-time audio but rather for rendering. So some tools offer better quality modes for rendering f.e.